Koh Lanta (also spelled Ko Lanta) consists of an archipelago of 52 islands. Lanta International Language School is situated on Koh Lanta Yai, which is the main island where most hotels, shops and restaurants are located. The most direct and easiest way for most students to get to Koh Lanta Yai is to fly to Bangkok and then find your way to Krabi or Trang by plane, train or bus. You can also fly internationally (or domestic) into Phuket, which would cut one leg out of the trip. Phuket is very close to Koh Lanta and very easy to travel from. A good link for comparing flights is www.skyscanner.com as they include most budget airlines whereas others don’t. Flying: Your easiest and most direct route to Koh Lanta Yai from Bangkok would be to fly to Krabi or Trang airport and take a transfer from there. The prices vary depending on how far in advance you book and which airline you choose. There are several airlines flying these routes, for example Thai Airways (Thai Smile), AirAsia, Bangkok Airways, Nok Air and Lion Air. 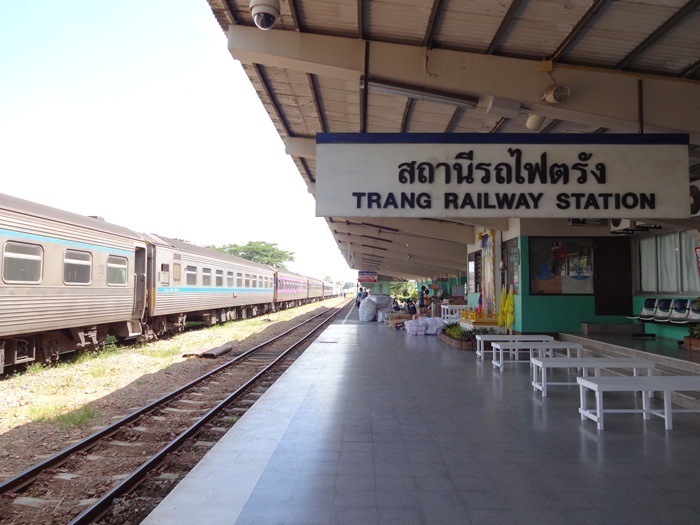 Train: There is no train station in Krabi, however you can take a train from Bangkok to Trang. 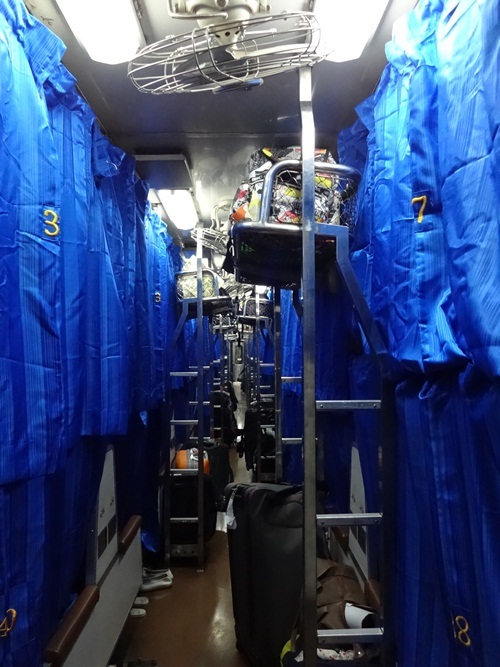 The journey is 15 hours long, and trains leave twice daily from Bangkok with many seating options to choose from. Train travel in Thailand can be fun and an interesting way to experience how most Thai’s travel. There are three classes of seating. 1st, 2nd and 3rd. Don’t opt for third unless you are really trying to save your pennies and don’t mind sitting in a cramped seat all the way. 1st and 2nd class offer sleeper carriages and the option of Air con or fan. Throughout the journey you will find many people coming around selling a variety of food and drinks, or you can take a stroll to the restaurant carriage. Train travel is very popular amongst Thai people and seats can fill up quickly, especially around holiday times, so it’s a good idea to book your ticket a few days in advance, or a few weeks if it’s a holiday. You can expect to pay anywhere from 400-1600 baht for a one-way trip. Bus: The safest and most reliable way to get to Krabi by bus is to go from the Southern bus terminal in Bangkok. If you are staying in the famous Khao San Rd area, there are many private operators offering services to Krabi at cheaper prices due to high competition, BEWARE however that there have been many reports of theft on these buses. The journey will take about 12 hours. There are many class options for bus travel, which vary considerably. A popular option is to take the overnight super VIP bus, which has almost fully reclining seats, meaning you can sleep relatively comfortably along the way. Do however take something warm with you, as the buses can get very cold with the A/C at full blast. The buses in Thailand offer food and drink, toilet facilities, and if you’re lucky (or unlucky) they might play a movie for you. 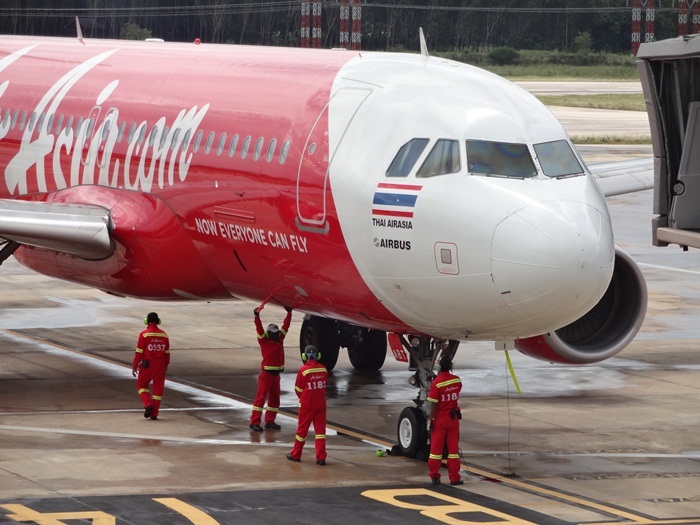 By Air: You can fly fairly cheap from KL to Krabi international airport with air Asia, costing around 4000 Baht. The journey is only 1 hour 30 minutes and by far the easiest, quickest and most direct route. By public bus: Taking the bus from KL to Krabi involves an overnight bus trip leaving from KL bus station, you will cross the Malaysian/Thai border and continue on to Hat Yai (10 hours) where you will have to change to a mini van and continue on to Krabi. (5 hours) Buses leave daily from KL main bus station and a one-way trip from KL to Hat Yai will cost around 500 baht. When you reach Hat Yai, there will be many tour operators that can organize your ticket for the mini van to Krabi for around 260 baht. By Train: Trains run daily from KL to Hat Yai, leaving in the evening and arriving the following morning, approximately 13 hours later. There are various classes to choose from. 1st class will give you a private sleeper cabin for two. Food and beverages are available on the train. 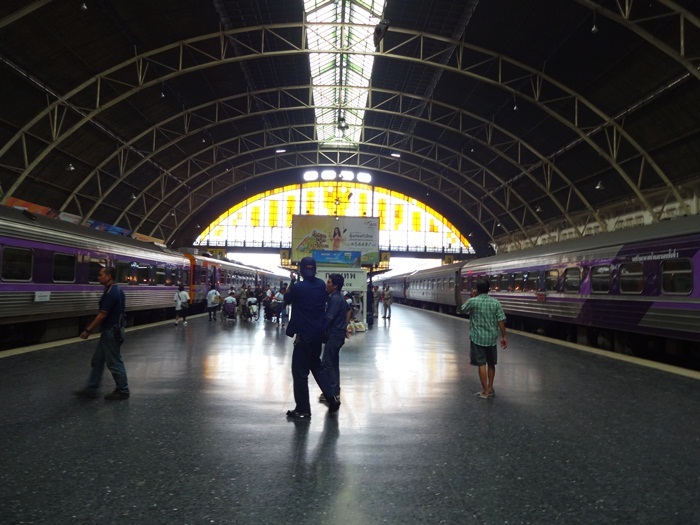 As there is no train station in Krabi, you would have to catch a train to Trang, which means going out of your way to Surat Thani, and catch a connecting train to Trang, much easier to jump on a mini van from Hat Yai to Krabi. You have three choices of travel from Krabi to Koh Lanta Yai… minivan, private taxi or boat. Coming by road, you will have to cross over to Koh Lanta Yai via one car ferry. Sometimes there can be long queues at the ferry, which can add an hour or so to your trip. If you arrive at Krabi airport after 8pm or have a flight out before 11am this form of transport will not be viable for you. Instead you will have to book a speedboat transfer or stay one night in Krabi. Taxi: this is the most direct and comfortable option. You can book a taxi from the airport to your accommodation in Koh Lanta. These are easy to book at the airport, where you will find lots of people yelling out to you for taxis and transport before you exit. A private taxi will cost you about 2500-3000 baht per car, and depending on the queue at the car ferry, could take anywhere between 2-3 hours. One way to make your transfer cheaper would be to find some other people who are going to Koh Lanta and offer to share a taxi. If there are a few of you, you could hire a private mini van for the same price. Bus and minivan: A cheaper option is to catch the public bus from the airport to Krabi town, leaving every half hour and then take a minivan from Krabi town to Koh Lanta, this costs around 300-400 baht and is all linked through the ticket office at the airport where you book all transport. This method can be a little time consuming, as you often have to backtrack to Krabi, to catch a minivan to Koh Lanta. 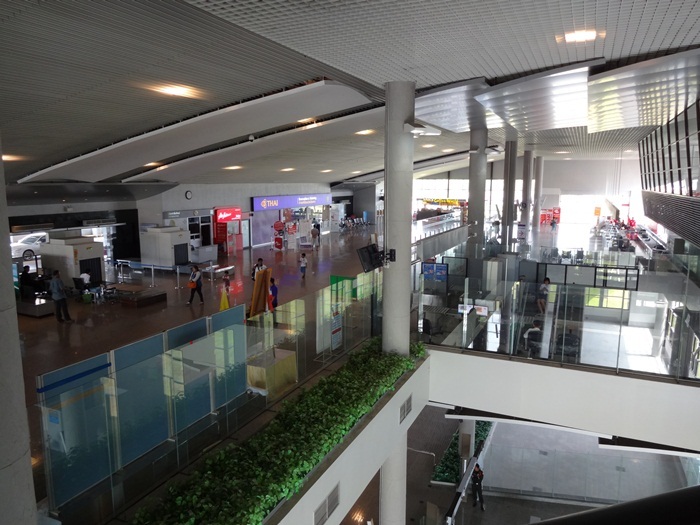 It is possible to pre book a minivan pickup from the airport, which would eliminate having to back track into Krabi and waiting around for connections. You must book this in advance (0816063591) and it only costs 200 baht. They will drop you at your accommodation in Koh Lanta, but only as far as Khlong Nin, if you are staying further south than that, it will cost an extra 100 baht. Passenger ferry: If you arrive at Krabi in the morning a more scenic option would be to take the passenger ferry from Klong Ji rad pier, about 5km out of Krabi town. You will have to take a taxi to the pier. There is only one ferry a day, and it leaves at 11 am and arrives in Saladan 2 hours later, where you will be greeted by waiting tuk tuk drivers to take you to your accommodation, unless you have arranged a pick up service with you hotel prior to your arrival. The cost of the ferry is around 550 baht one way. Speedboat transfer: For those of you who don’t want to wait around, or sit on a cramped mini van or ferry, or for those who have an early flight, and cant risk delays with the car ferry queue, then this may be the service for you. (First transfer at 6.30 am getting you to the airport by 8 am) This is a relatively new service and offers a much faster, more unique and luxurious transfer experience. It is also great value at 1 950 baht per person, (not so good if your alone, as you would have to pay for a minimum of two people). The price includes pick up from Krabi airport by air-conditioned mini van, drop off at the car ferry port, where you take a 15 minute speedboat journey over to Koh Lanta. You will be picked up and dropped at your hotel. The total journey time for this is 1.5 hours, and tickets should be booked in advance. 3 700 baht and takes between 3.5-4.5 hours, again depending on the car ferry queue. 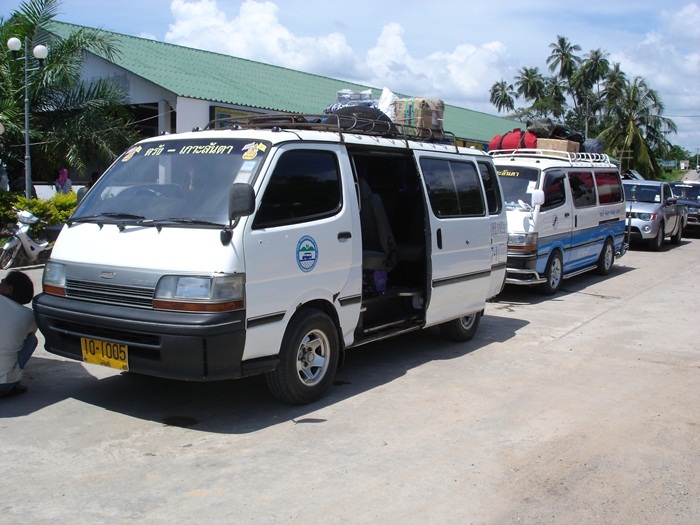 Public minivan: There is no direct mini van from the airport in Trang; you have to book at one of the tour agencies in Trang town, which provide minivan transfers to Koh Lanta. The most popular agent is KK travel, just opposite the train station. The cost is 350 baht and they leave every hour from Trang. The journey can take anywhere from three to five hours. Private minivan/taxi: The easy way to get to Koh Lanta Yai from Phuket would be to hire a private taxi, or minivan, which would take you straight to your accommodation on Koh Lanta. The last departure time from Phuket is 5 pm as the car ferry that connect the mainland to Koh Lanta close at 10 pm and the journey time from Phuket to the ferry is approximately 4 hours, then another 30 minutes from there to Koh Lanta Yai. The cost for this service is between 4 000 - 5 000 baht. Public minivan: A cheaper option would be to take the public minivan from Phuket for around 400 baht, they leave every hour, but do not take you to your accommodation on Koh Lanta, instead they drop you at the bus station on Khlong Dao beach and from there you will have to organize a tuk tuk to your accommodation. Passenger ferry: A nicer and more scenic way to travel to Koh Lanta from Phuket is by passenger ferry, leaving from Ratssada pier just outside Phuket town. Leaving twice daily at 8.30am and 1.30pm the journey takes 4 hours, and costs 1000 baht, stopping on the way at neighbouring Koh Phi Phi. You will arrive at Saladan pier in Koh Lanta, and from there you can take a tuk tuk to your accommodation, unless your hotel has a pick up service. Important: Passenger ferries and speedboats servicing Koh Lanta only run in the high season, November – April. If you plan to arrive in the green season, you will be limited to road travel, but its not so bad, as its quieter then, you wont get stuck in any long car ferry queues. Watch this video and learn how to say Hello in Thai before arriving to Koh Lanta. Click here for more free Thai language lessons. 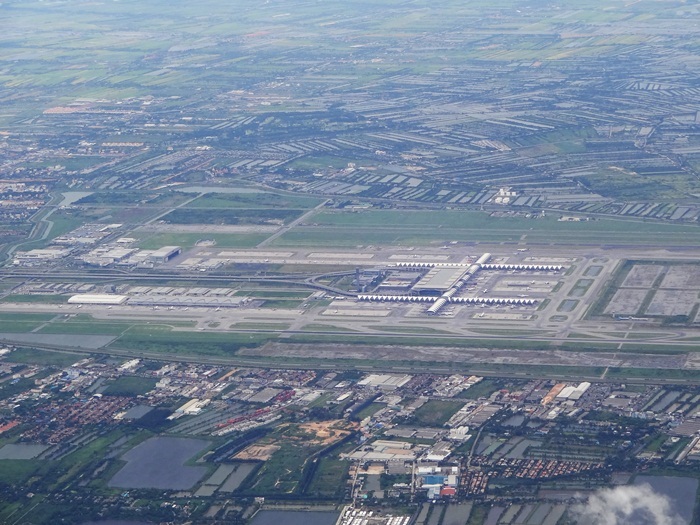 Suvarnabhumi Airport from above, one of the two main airports in Bangkok. 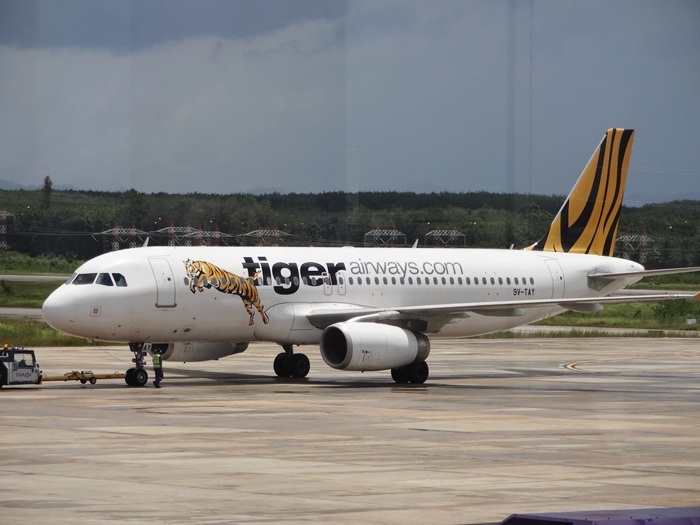 Tiger Airways flies between Krabi and Singapore. Second class sleeper train ready for the night.